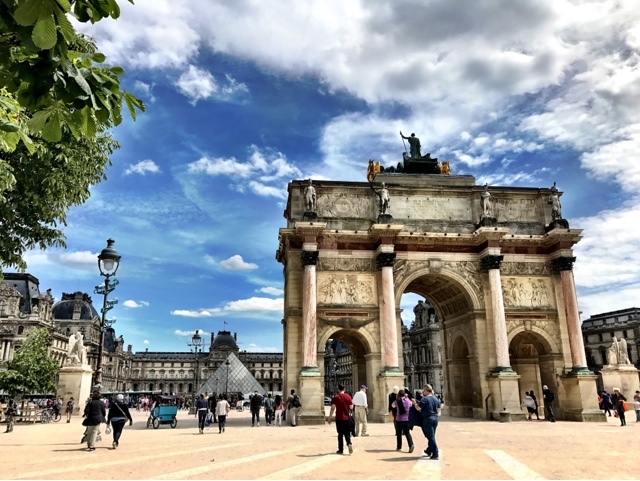 My Love for Paris: Being a tourist in Paris - HEY IT'S OKAY..
1. To ask for directions, then not understand the answer but nod along anyway. 2. To proudly execute your perfectly mastered phrase : "ça coûte combien..?" only to completely blank out when given the answer. 3. To question the person who invented French numbers above 70 - seriously what's with the sudden switch to sixty-ten..? We were doing so well there..
4. That hearing the number 99 gives you a mathematical headache. Quatre-vingt-dix-neuf, 4 by 20 plus 10 plus 9..?? WHY? 5. That the only photos you have of yourself / yourselves on your camera roll are selfies..
8. To actually be offended by the smell of urine in the metro and RER stations. 9. To get swept up by the romance of the City of Lights, forget about said smell then be rudely shocked again when you unexpectedly take in a waft. 10. To accidentally sleep in and miss something on the "must do" list - go away FOMO. 11. To have enough of French food day in day out and just crave something (preferably greasy) from home. 12. To rock up at a museum, see the queue and think to yourself "yeah nah.."
14. To wonder bafflingly, how on earth Parisian women appear so effortlessly chic, the way their hair just falls to a side like that..